to the highest return for the advertising buck. The solution is a single master document. For all your marketing pieces. Yes. This is the key to reaching your target audience. This document includes the profile of your audience. And, a series of strong, persuasive, benefit-driven selling statements about your product, service, or purchase decision. All in the same master document. This system creates a complete promotional information library for you and your marketing team. It's a treasure chest that you can rely on for multiple marketing messages. And a treasure of consistent messages across all your pieces is vital to the success of a marketing campaign. Now, you’ll be able to guarantee it. The pressure for you to deliver various marketing documents is understood. This indispensable, single-source system is going to relieve some of that daily pressure from you. And place it on me. I’m going to create a playbook you can use to write your marketing messages. By creating your Relevant Content Master Plan. I’ll create it by using the CORTA planning tool. Content that’s Optimized and Relevant for your Target Audience. 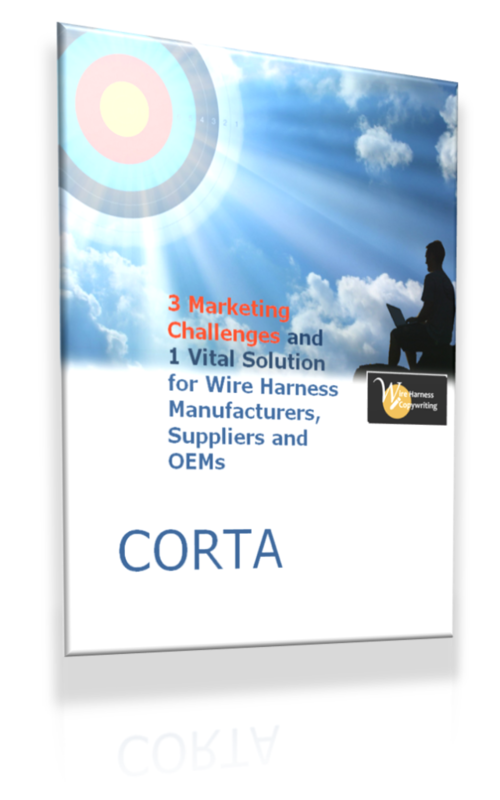 If this tool is new to you, please download my cornerstone white paper titled 3 Marketing Challenges and One Vital Solution for Wire Harness Manufacturers, Suppliers and OEMs. It’s a quick and easy read. It’s so easy to drown in the sea of voices out there about how to operate a marketing plan. see and believe the 21st century marketing environment for what it is: a customer-centric, internet and social media driven world. It’s simply that. understand that marketing is never about the company, it’s about the target audience. craft your own marketing philosophy. Own it. And use the CORTA planning tool to do exactly both things. Any person, any marketing manager can use the CORTA planning tool to create a simple, comprehensive and effective strategy. (all of your Content is) Optimized and Relevant for your Target Audience. This way of thinking states that Relevant Content, Conversational Copywriting, and Search Optimization techniques are the smart tools to build upon Google’s ranking philosophy of Expertise, Authority, and Trust. how do you plan to do all this?? I’m here to craft a single master marketing document – your Relevant Content Master Plan. 10 new areas of depth about your products and services. Together, the two become your Relevant Content Master Plan. The 10 new areas of depth plus the CORTA planning tool combine to bring your marketing strategy to life. This becomes a precise plan to communicate with your target audience(s). You will then have the source document that contains the company marketing strategy, all target audience information, all testimonies, all product facts, benefits, unique selling proposition statements, and more. The content for your promotion materials will be available from a single source. Why not use the CORTA planning tool only as found in the white paper? And create the plan yourself? You can! The white paper contains powerful information for any marketing manager or owner to create a cohesive plan. And the tool and information in the white paper is forever free. It’s a timely philosophy designed around our modern-day social situation. You can certainly use the CORTA planning tool as it is. 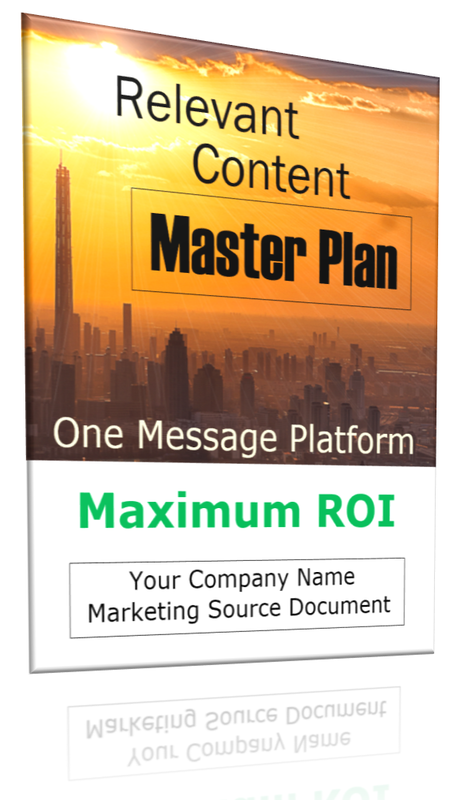 The Relevant Content Master Plan document will expand on the depth of information about your products and services. And it’ll be inside and a part of your finished CORTA planning tool marketing plan. a great marketing game-plan document that you can create for your company. It creates the solid framework of your marketing plan and how you execute that plan. a great marketing game-plan document PLUS a complete library of consistent, detailed, benefit-driven marketing messages that I will create for your company. Why do you have a plan? What are the steps in the buying cycle and which persuasive document are you going to use for each? When do you release that content? How do you execute your plan? To make your plan complete, I’ll dig much deeper for details using the 10 new areas of depth from the Relevant Content Master Plan and add that to your overall strategy. Using the CORTA tool, and with your help, I'll complete your basic marketing strategy (the questions posed by the 5 bullet questions above). I’ll interview you and key people to find answers to those questions. Then, it’s time to take the CORTA planning tool to the next level. I’ll gather information designed to explain the value of your product, service, or complex purchase decision. Explaining the value of your product or service is how the Relevant Content Master Plan will seriously amplify the results of your CORTA planning tool. The depth and added research will expose the tool’s full might. Whether you have B2B or B2C-style transactions, I’ll be flexible with these categories and design them to what makes sense for you. Tell of your larger goal for the product or service. Be specific. For example: “ROI of marketing to increase factory throughput.” I need you to complete this part of the plan, but am glad to help you put it into words. If you decide to use the CORTA tool for a smaller project, how does this fit into your marketing strategy? The answers are important so your success is measurable. Develop the profile(s) of your ideal customer(s), often called a ‘buyer persona’. Technographics – how and where the content will likely be viewed: desktop, tablet, phone at work, in transit, at home, etc. Keep in mind that in B2B, you may have multiple buyer personas. The same purchase decision may need to be more benefit driven for management, more facts and statistics driven for the engineering community. But, there’s no such thing as too much detail. You can get as detailed as create an entire character bible, just like a storyboard character in a movie or a novel. The more details you have, the more creative angles you’ll have for content. And the deeper you’ll connect with your audience. Give me as much information as you can, and I’ll dig and find out more. If necessary. This step is defining the buying cycle(s) for your product or service. For each product/service. And for each separate target audience for that product or service. Next, decide what type of content (white paper, email campaign, etc.) to use for each step in the buying cycle. Write copy showing you know and empathize with their need, Email, blog, landing page, etc. The factory buyer will first request a brochure, Brochure, email, white paper, case study, etc. prepare a slide deck for a group of approvers. sales proposals and contracts are generated. Keep in mind that these philosophies are applicable to any company. No matter if you’re writing Business-to-Business (B2B) or Business-to-Consumer (B2C). Why? Because you’re always writing Business-to-People (B2P). I’ll work with you to help fill in any blanks. And I’ll supply my suggestions, if needed. At this point in the CORTA tool, the new research areas are added (found in the paragraph above: Let's take a look ...). You’ll give me whatever information you have to these questions, and I’ll finish each category with research and more details. These details will help describe and unveil the value of your product, service, or complex purchase decision. When complete, this research creates a dedicated library of marketing statements about your products or services. You’re under the gun to produce a sales letter by the end of the day and an e-blast campaign by the end of the week – not to mention a new landing page that’s due ASAP. Does this scenario sound familiar? Well, the Relevant Content Master Plan is a secret weapon. It’ll assure you’ll mine pure informational gold. Now, there are two remaining steps of the CORTA tool that fine-tune your message platform. While the other areas are building up the arsenal of information, these crucial steps build release-time and search strategies. Together, we’ll do the research and make plans about the timing of the buying cycle elements. We’ll take notes on how the customer interacts with the company during their journey through the buying cycle (or how a stakeholder interacts with the purchase decision cycle). I’ll base that on what you know about their profile. When do you release the content? Have you discovered anything new about the audience which would require you to adjust the timing? Is it time to use a different content tool to provide more proof? Your target audience wants you to be the solution. They don’t want to look anywhere else. Deliver the content accordingly! So, if I were to complete this section on your behalf, I’d base my opinions as a second pair of eyes on what I see happening in the sales / buying cycle. All your messages need to use keywords and phrases. Or, they need to use relative words and phrases around the specific keywords. Search engine results page rankings can be important. But(! ), writing your messages using the language of your audience – using relative language that’s natural and conversational – is how your target audience is going to find you. Regardless of any page ranking! As the searcher thinks, so the searcher finds. Remember, Google only loves you when your audience loves you first! They actually reward you more when you are continually proving that you’re connecting with your audience. You may already have a list of keywords. But if you don’t, I’ll supply key words and phrases for each product / service – and for each target audience. Keyword research is quite valuable for the B2B complex sales cycle. The stakeholders and approvers will also be making these same types of searches. You’ll need this knowledge for your presentations, white papers and emails, etc. All the keywords and phrases that I’ll supply will be based upon your buyer personas and depth of research in the What category. A statement or statements defining the broad goals for the entire company marketing plan. Or, a specific marketing campaign. 1 – 5 pages defining your ideal customer(s) for each target market. This can be as simple or as complex as you want it to be. Remember: the more details you have, the more creative angles you’ll have for content. And the deeper you’ll connect with your audience. What are the steps in the buying cycle? Which persuasive document are you going to use for each? 6 – 10 pages that outline every conceivable marketing statement. Plus, a snapshot of the complete buying cycle(s) of your product(s) or service(s). This includes a usage plan for each content type (white paper, blog, case study, email autoresponder series, etc.) for each step in the buying cycle. 1 – 2 pages of notes about customer / stakeholder interaction with the buying cycle. I'll enter additional suggestions from how I see the customer interacting with your company during the buying cycle. This is a great place for you to continue adding your own notes about content release timing. You might also see a need to add more trust or proof elements at any point. 1 – 2 pages of keyword research for each product and within each stage of the buying cycle. The length of this is based upon the depth of the buyer persona and the information in the What category. That’s it. You now have a complete plan of attack for your marketing campaign. The development of CORTA and the Relevant Content Master Plan are equal to the contents of a two-day seminar. Many two-day seminars like these have a price of $750 - $3000. The travel, boarding, and food tab will cost another equal amount. In fact, Forbes recently put together a list of the top “must attend” professional development conferences. Attendance prices range from $600 all the way up to $3,250. And some are invitation-only attendance. Meaning even if you could afford it, you wouldn’t be allowed in without an exclusive invitation. Also, you’d have to pay a separate amount for the video or audio from any of the sessions, which can easily run $2-400 or more. If they’re even available. It can all add up to a few thousand dollars. Then you have to go back to work and create a presentation. And, you’d have to create the new program yourself from any new ideas. Or, you’ll have to spend time convincing stakeholders that a new program or resources would be future money well-spent. Because you’re receiving this information on this page, right now – at your pace, at your leisure – this is more valuable than a two-day seminar. You’re processing the value of this as you read. But this unique system is much more valuable than a seminar. These are not all my ideas, this new system will exist because of you. It's a complete custom solution designed to boost your marketing department output. Think about how this entire project will be your brainchild. You COULD create the plan yourself, with all the information available in this letter – and the white paper. But you might put yourself in a no-win situation with your regular work deadlines. Allow me. Let me help you create a cohesive plan. Let the value of my business writing skills complete this task. I’ll save you all that time you would have directed toward the project. With your information, and my research and organization, I’ll deliver that treasure chest. You’ll continue to draw marketing gems for the life of the products. But it’s better than that: you’ll now have the template to do the same for future products, services and purchases. You can keep this template as-is, modify or add to it over time. This will be our brainchild, but you’ll be the one bringing this marketing prize to the company. Relevant Content Master Plan cost? This amount represents a 5% return for the advertising budget of a mid-sized company. The average return on advertisement dollar for 2017 is 1:2.87, according to Nielsen. For every dollar spent, $2.87 is realized. If your advertising budget is $10,000, then you’ll see $28,700 in return. A gain of $18,700. And that’s a gain of $187,000 for the $100,000 budget of a mid-sized company. The 5% fee is reasonable, considering such a cohesive marketing strategy as the Relevant Content Master Plan! And the ROI for your company will be above the average. But it’s also reasonable for me to believe that with the actual cost of advertising figured in, the net gains will be lower. Nielsen also says that, worldwide, the average dollar spent on advertising brings in only $0.70 of profit. For various reasons. It's the fee I'll start with. I want to work with you and your budget. So when I understand your budget and the scope of your master plan, I'll give you a final quote on your project. It will be between $4,675 and $9,350. The majority of projects will be quoted closer to $4,675. What’s your prediction on how a comprehensive marketing strategy like this will affect sales this year? What is the price for this service that captures the value to you and to your company? My fee won’t come close to the revenue you’ll realize. I’ll deliver this custom, 10 – 15 page master document for a price that’s fair for both of us. The arrangement will be an absolute win-win-win. You receive an immensely valuable strategy playbook that will net your company ... untold amounts. Your customers and stakeholders receive exactly what they're looking for. And I receive work. We’ll find the right price! But the $4,675 figure is the starting point. I’ll send you a quote with the final value. You need to assess the value and imagine the possibilities. Fill out the questionnaire, below. I’ll give you a firm quote, within 48 hours, according to your budget and other factors regarding the volume of work. Just know that a 50% up-front fee is required so I can begin working for you. Use the CORTA planning tool and the Relevant Content Master Plan to achieve maximum ROI with a single, unified marketing message platform. As I said earlier, every battle is won before it’s ever fought. This is no exception. You’ll be poised to succeed beyond expectation because you diligently prepared for your writing campaign. You had a battle plan. It’s a simple fact. When your customers read unclear, inconsistent or muddled marketing messages, they instinctively say “no,” and move on. This alternative ensures the messaging in your marketing materials is very consistent and persuasive across all their marketing channels - and this is essential to creating a well-oiled marketing campaign. This is a much more effective strategy than writing marketing materials one at a time on a “make-it-up-as-you-go” basis. In fact, the CORTA tool and the Relevant Content Master Plan should be the first marketing communication piece you write. Traditional, digital, complicated-business-purchase-cycle and social. Creating strong, targeted benefit selling statements throughout your media campaigns will be much less difficult. And when you’re under the gun to produce a string of sales messages and different types of content, the tasks will be much less daunting. Plus, you’re now assured of having a consistent message in your content about your products and services. Your consistent statements will be recognized by your audience. And your marketing claims will be accurate and substantiated with facts. The Relevant Content Master Plan that we’ll create together is going to contain a fortress of proofs that support those facts. Distributing consistent messages and strong proofs to your target audience greatly increase the chances of making a positive impact - because repetition builds reputation. Clearly, you can see the advantages of developing the Relevant Content Master Plan: how it benefits your marketing campaigns and dramatically increases your ROI. So why not put this secret weapon to work for you? P.S. There are more details of the 10 new areas of depth of the Relevant Content Master Plan below the questionnaire. Explicit examples and tips. All this information, plus the white paper, can create a strong and detailed marketing plan. Call me if you’re under the gun and would like to hire me to complete this task. I have a set of questions and some information I need from you. I’ll send you a quote within 48 hours. Your privacy is the very first thing I thought while assembling this. Your information and email address stays with me. Period. If you'd rather not transmit any of this info in an email, print the questionnaire form and then give me a call. Or, print it anyway for your records. Go to the bottom of the input form, select the Print Page button. The entire letter will load to be printed. Select only the individual pages you wish to print. Fill out as much information as you can. As you’re comfortable with. Don’t worry about being complete. If you don’t have the info, just give me what you can. Or leave a field blank. Again, don’t worry about sending me complete information. It’s my job to do the majority of research. I’ll do my best from there, and stay in communication with you as to what I might need. If you’d like to review information, click here to go to the paragraph, Tell me again, how do you plan to do all this?? And read from there. Or, Open this letter in new tab. And remember to download the white paper for reference on CORTA, as well. "I’m not ready for the questionnaire. 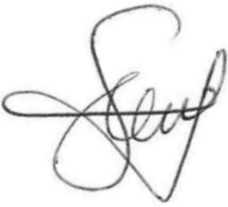 Take me back to the letter above." Have you produced or commissioned similar projects in the past? Did the projects meet your goals? If not, what would you wish would have happened instead? Can you provide examples that you like? What aspects are important to you when I create this plan? Is the Relevant Content Marketing Plan a one-time project, or would you like me to bid on other specific marketing work? When is the project due? Or, what time-frame would you target? Why do you have a plan? What's the objective? If a smaller project than the whole, how does this fit into your marketing strategy? Who is your ideal customer? Give any current descriptions you might have. Give any information you can about how the customer or stakeholder interacts with your company. What are the steps in the buying cycle for each product? Which persuasive document are you going to use for each (if any currently planned)? Do you currently have a time table to release certain documents? Can you provide a list of keywords and key phrases? Description of how your product, service or purchase decision works (if any information is available). Explanation of value provided by your product, service or purchase decision (give links to any online information if available. Or send me any current brochures). Product, service or purchase decision tagline ideas (give me any ideas or taglines you’ve used in the past). Any available market research facts and figures (point me to any of the important references available online). USP - Unique Selling Proposition. Do you have a USP statement? What makes your product / service unique? ESP - Emotional Selling Proposition. What emotional satisfaction does your product / service provide? How do you see the product positioned in the market (less expensive alternative, yet higher quality or more expensive and higher quality, etc.)? Other than your USP, list the core benefits of your product / service (the what's-in-it-for-me benefits). Anticipated objections - What obstacles have you heard of or do you believe will occur with the marketing of your product / service / purchase? You’ll receive a quote from me in 48 hours. Here are some added explanations and examples that I hope are helpful. To avoid confusion, your Relevant Content Master Plan must have a consistent explanation of how your product works. If your customers read your website, e-blasts, brochure and social media posts and see four different descriptions of how your product works, you’re in trouble. So come up with one good explanation that’s easy to follow, and use it throughout your campaign. You can format your product description differently to fit the marketing piece you’re creating. However, the verbiage you use to describe how your product works should always be consistent. Focus on benefits – not just features. This can be applied with equal effectiveness to products, services, and purchase cycle decisions. When you really boil it down, every product and service exists to solve a problem or to meet a need of some kind. Too often, business marketers make the mistake of thinking the problem their product solves is so obvious, they fail to mention it in their marketing materials. Don’t let this happen. You know what problem your product solves or what need it meets because you live with it every day. Your customers don’t. So make sure your Relevant Content Master Plan includes a clear, dynamic explanation of the specific problem your product solves because you’ll want to use it in your marketing materials. Next, take this one step further and describe how your product or service adds value to the life of those who purchase it. Whether you’re writing business-to-business (B2B) sales copy or business-to-consumer (B2C) sales copy you’re always writing business to people (B2P). Think about your product or service and describe how it adds value to your prospects’ lives. Help prospects complete tasks quicker and easier? Make prospects enjoy their work day more? Make my customers feel more fulfilled? Give prospects one less thing to worry about at night? Address significant pain points common to my customers? Reduce the stress level of my prospects? Satisfy a curiosity of some kind? Quench a need to achieve a specific emotional state? By addressing these questions your sales copy will be more about your prospects and a little less about you. In today’s business world, you must demonstrate that you have a clear understanding of the pain points that keep your prospects up at night. When you show some empathy and establish that you’re in touch with the real-world problems your prospects face every day – you’re in a much stronger position to tout your product or service as a solution. Even if this is for a B2B purchase decision, you want to create a tagline that communicates the summary benefit to help sell your position. Nothing cute, just plain fact. When writing marketing materials for products and services, being able to substantiate your benefit claims with cold, hard facts can be very powerful. Your Relevant Content Master Plan is the ideal place to list all the key market stats, facts and figures you need to support the great things you want to say about your product. In a nutshell, this section should include all the stats and background information that pertains to any benefit claims you’ll want to make in your marketing materials. You’ll always want to have this information at your fingertips, so you can produce materials based on honest and accurate information. Now you can stretch out and begin to have a little fun with your Relevant Content Master Plan. You’ve assembled some of the more straightforward information about your product, and now it’s time to get a little creative and discover your unique selling proposition (USP). A USP is the primary benefit your product has that sets it apart from the competition. The next section of your Relevant Content Master Plan should summarize your emotional selling proposition (ESP). An ESP centers on the emotional satisfaction your product or service provides end users. Engaging people on an emotional level is the best way to grab their attention and motivate them to act, so be sure you write multiple statements about the emotional benefits your product provides. Capture the emotional benefits of your product or service and put them into words. Every product or service has emotional benefits that are important to your prospects. So make sure they’re never overlooked when creating your Relevant Content Master Plan. Product positioning centers on creating a perception in the minds of your customers about what your product represents. Before you write your promotional materials, describe in your Relevant Content Master Plan how you want your target market to perceive your product – and then write your marketing copy using a style and tone that supports your objectives. For example, do you want your audience to think of your product as the high-quality, low-cost alternative to the top brand in the market? Do you want them to think of it as the high-cost, premium product that has no peer? Perhaps you want it to be perceived as the innovative, mid-priced product that is targeted toward white-collar baby boomers. Making such a distinction will have a lot to do with the tone and style you choose to create for your marketing copy. Pay close attention to marketing campaigns for beer brands and cars. The people who create them are masters at positioning their products. Think about it – have you ever seen an ad for Budweiser Beer where the guys in the commercial are wearing suits? Here are other examples. If you’re selling educational DVDs to private school systems, you may choose a copy tone that is nurturing, sophisticated and soothing. If you’re selling discount parts and accessories to automotive garages, you may choose a tone that is straightforward, simple and blue collar in its word usage and messaging. If you’re marketing a self-help book that is intended to help people discover their true life purpose – you may want to be nurturing, inspiring and authoritative. Again, positioning is all about establishing an identity for your product that will shape how prospects perceive it. Decide how you want your product to be thought of by your target market, and then write all your marketing materials in a style and tone that firmly establishes this identity. Testimonials can greatly increase a product’s credibility when they come from respected industry experts. Renowned consultants and market leaders making strong statements in favor of your product will do more to influence the opinion of their peers than statements made by your company. You always want to have a section in your Relevant Content Master Plan for peer-level testimonials from industry heavyweights. Here is another tip. Always keep your testimonials brief. Two to three lines is fine. One line that packs a lot of punch with a positive and definitive statement is ideal. All too often I see clients get real excited about a testimonial that is eight, ten or 12 lines long. The problem is nobody’s going to read a testimonial that’s really long - especially on a web page. If someone does provide you with a long testimonial, break it down to three or four short ones. Remember, the shorter a testimonial the more likely it is to be read. The next step in developing a Relevant Content Master Plan is to create several selling statements about your product’s primary benefits. In this section I typically include benefit statements that are secondary to a product’s Unique Selling Proposition statement. Remember, benefits are the “yeah, so-what’s-in-it-for-me” aspect of your product, and it’s what your customers care about the most. What you’ve written in these sections will make it easier for you to shape the tone and style of your core message selling statements. Lastly, create a special section in your Relevant Content Master Plan that addresses potential objections to your product. In this section of your platform, you have to be very honest. Make a list of potential prospect objections to your product, and then create strategic core message statements that are designed to overcome these objections. The goal here is to anticipate what competitors and prospects will point to as weaknesses in your product or service. Be honest and proactive and create strong, compelling messages that clearly spell out the hidden benefits within these perceived weaknesses. Thank-you for reading this far. I hope that these examples and tips inspire your action today. You're the type of person who appreciates details. You'll have customers and peers who'll appreciate that about you. Please contact me right away if I can be of service.